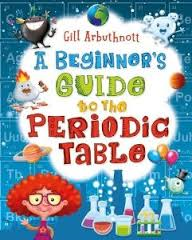 First of all, it’s publication day for my new science book from A&C Black, ‘A Beginner’s Guide To The Periodic Table’, which looks wonderful thanks to illustrations by Mark Mones and fantastic design work headed up by Claire Grace. 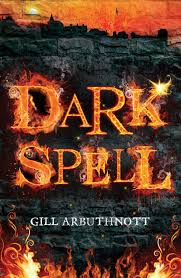 But it’s also the day (drumroll please…) when I finally get to talk about the fact that Dark Spell has been shortlisted in the Older Reader category of the Scottish Children’s Book Awards. I’ve known for a few weeks, but was sworn to secrecy. I’m very excited to be listed alongside Cathy MacPhail for Mosi’s War and William Sutcliffe for The Wall, and I’m looking forward to talking to school groups and hearing what they think about all the books. You can see the full shortlist here. Yahoo, with cherries on top! Thankyou! You can probably guess just how pleased I am…. Congratulations! Well done, and I hope you enjoy all the run up to the vote! Thanks Lari. I’m definitely going to make the most of it.